General Motors is enhancing the GMC Sierra full-sized pickup to make it more economical, without compromising its capability. The company is adding eAssist electrification to the Sierra’s 5.3-litre V-8, helping the truck to improve its fuel economy ratings by up to 13% (to 13.1 L/100 km in the city and 9.8 on the highway). The max trailering rating is 4,364 kg (9,400 lbs.). The eAssist system consists of a compact (it adds just 45 kg to the vehicle weight) 0.45 kWh lithium-ion battery under the centre console (or front bench) to store energy captured during engine operation and through regenerative braking, using it for an acceleration boost when it’s needed under certain load conditions, such as for passing. The 15 kW motor reportedly adds 13 hp and 44 lb-ft of torque (to 355 and 383, respectively) to the 5.3 V-8 that already features cylinder deactivation to enhance fuel economy during light cruising, although eAssist allows it to operate in 4-cylinder mode more often. 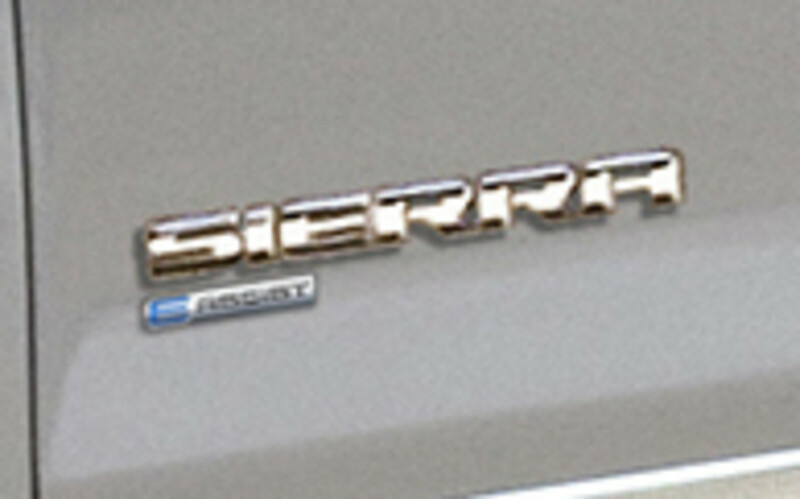 The eAssist package (which also adds stop/start technology to the engine, a soft tonneau cover for the pickup bed and grille shutters that automatically close at speeds over 48 km/h) will be available in spring 2016, starting on the Sierra 1500 SLT crew cab 2WD with the SLT Premium Plus package, with the assumed intent of future offerings in the line. The SLT Premium Plus package (which is also available with the standard 5.3-litre and 6.2-litre V-8s) add features such as LED exterior lighting, Apple CarPlay and Android Auto capability, 8-inch touchscreen for control over GMC’s IntelliLink and navigation systems, Bose premium audio system, wireless phone charging, heated and vented front leather seats, lane keep assist, forward collision alert, and parking assist with a rearview camera.